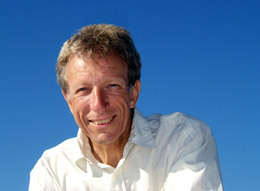 Kurt Jerman founded West Coast Multihulls in 1999. 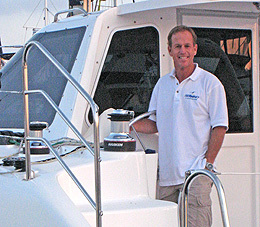 In his early years in the marine industry, Kurt lived aboard and cruised extensively, and has since sailed practically every multihull on the market. Kurt is also an experienced powerboater. He has parlayed many years as business manager for one international builder of trimarans into a regional dealership for cruising catamarans and trimarans. West Coast Multihulls is the West Coast dealer for Seawind catamarans. Don Margraf still thinks of himself as a sailor… and rigger, and inventor, and teacher, and writer and guitar picker. And yet, as a sales representative for various multihulls, he has helped scores of couples, solo sailors, cruisers and racers find the right boat for their needs, and helped them at every step to get more out of their sailing. With over 30 years in the boat business, Don has been a delivery skipper, a surveyor, a consultant to builders, owner of a rigging business, and a protege to a naval architect. As a rep for most of the major multihull builders, he is familiar with the concept strengths of each design. As a rigger, he has inspected their engineering details. As a sailor, in deliveries, races and cruises, he has seen first hand what most of them can do on all the big oceans. Don heads up the Northern California wing of West Coast Multihulls, and is building something called the Catamaran Master Academy, a grad school for multihull sailors who want to build the skills it takes to lap the planet. 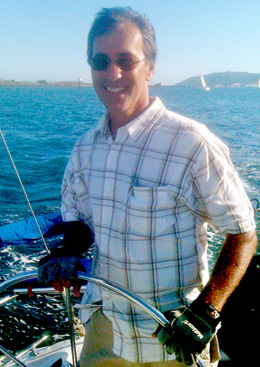 Michael Tolda is the Sailing School and Charter Manager at West Coast Multihulls. Michael began sailing as a boy on the waters off Long Island, New York. He did some early cruising in Florida and the Caribbean before starting a career in boating in 1980. He spent many years as crew, mate and captain of a large charter trimaran at Lake Tahoe. Then in 1995 Michael opened Sailing Ventures. It started as a sailing school and in the ensuing year branched out to offer charters, an active sailing club, and yachts sales. After selling that business to a former student in 2009, Michael moved to San Diego, where he has worked steadily as a sailing instructor, captain and yacht salesman for several local companies. Michael’s wealth of experience makes him an excellent resource for WCM students and charter clients.